The technology has been evolving at a fast pace, and the music technology is no different. During past few years, the music industry has smoothly shifted from the wire entanglements to a wire-free zone, and the technologists have almost reinvented every way the music was played in the past. The talk about the technological advancements seems incomplete without glancing over the advent of a multiroom speaker system that is now available for the music lovers in different versions, upgrading periodically. The multi-room music system gives the people the power to manage their music system wirelessly from their smartphones, tablets, and PCs; playing different genres of music simultaneously in different rooms of a home. These music systems employ different protocols and can be controlled via Bluetooth or Wi-Fi most of the times. Now let’s talk about two of the avant-garde multi-room protocols so as to see how convenient they are and which features they offer to the users. Simply put, Allplay is a platform facilitating music lovers as its framework allows the homeowners to control the music being played just by tapping their smartphone or tablet screens a few times. Allplay is easy to use for different music playing devices including speakers, receivers, and sound bars because of its multi-platform strategy. It is a technological standard, giving music lovers a power to choose from their diverse music collection. Allplay multi-room protocol is currently being supported by Monster, Panasonic, Hitachi and others. Not just the hardware, Allplay is also compatible with various music software including Spotify, Tunein, and 10+ other platforms. Play-fi is yet another high-tech wireless audio streaming platform supporting up to 16-32 products incorporating this very protocol. It supports four different music formats including .wav, .flac, .m4a, .mp3. It is Wi-Fi supported and easy to use, the homeowners do not have to get through difficult steps to add more speakers to the list. With the high level of customization provided, the user can put speakers into different groups as per his liking. The music lovers can also make use of the app to control the music being played in different parts of the home. 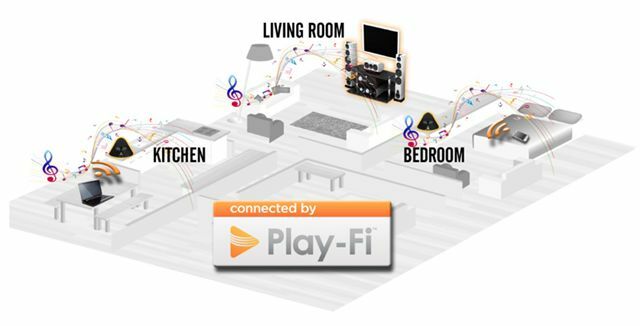 Multi-Room, Multi-Zone, Multi-User Listening Experience: Connect multiple audio systems that incorporate Play-Fi into a zone and enjoy music in every room of your home, perfectly synchronized with no lag. Or create multiple zones and stream different music to different rooms from the same device. Play-Fi technology makes it possible for every user in the home to simultaneously stream from different devices and PCs that incorporate the Play-Fi. While both of these systems are incredible sources of playing unlimited music conveniently and wirelessly, both systems come with a few pros and cons. Both of these multiroom protocols are Wi-Fi-based technologies and are made available just by few manufacturers so far. Since both technologies are wi-fi- based, they cannot be used away from home. As for the streaming apps, Allplay is not available for Pandora and Rdio whereas Play-fi is not available for Spotify and Rhapsody. Play-fi supports up to 8 speakers whereas Play-fi lets the users place up to 10 speakers at different spots in a home. Another difference is that Allplay supports music in formats that are not supported by play fi such as AAC, AAC+, FLAC, ALAC, AIFF, PCM whereas Play-fi supports music in just four formats, as mentioned above. Although both multi-room platforms are relatively new and are constantly evolving when it come to the specs, all play seems to have an edge over Play-fi when the existing specifications are compared. 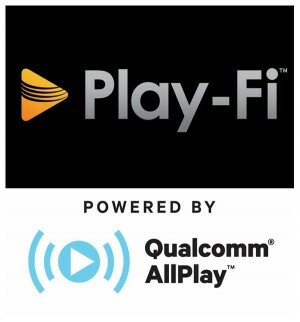 The number of speakers supported by Allplay is ten which is more than that of Play-fi. In addition to that, various music formats seem to be compatible with the all-play which makes it easy for audiophiles to play music rather conveniently. Therefore, this can be said that Allplay multi-room protocol has more chances of being successful in the long run because of the features it presents to the users. To sum up, Allplay seems to be a slightly better choice for playing music simultaneously in different rooms of a home; it is predicted merely on the basis of existing specs. If Play-fi plans to come up with a better version of this technology that not only supports a large number of speakers but the myriad music formats too, then it might be difficult to ignore the significance of using Play-fi as well. Therefore, the competition is expected to get more and more interesting as the time progresses and the manufacturers introduce even better versions of these multi-room protocols. With the technological advancements, the way people play music is also redesigned, introducing robust multi-room protocols such as Allplay and Play-fi. Both of these protocols come with amazing add-ons which make it imperative for the audiophiles to compare the specs of these technologies and choose the best one for them.